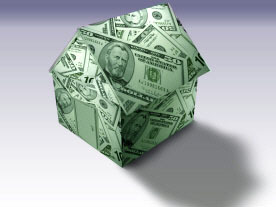 At Bogris Appraisal LLC we pride ourselves on being New Jersey property tax appeal experts. Our tax appeal services include assessment consulting, preparing appraisal reports for the intended use of assisting with property assessment appeals and giving expert witness testimony at County Tax Board hearings and in New Jersey State Tax Court. We have a proven track record of successfully assisting property owners with reducing their property assessments and therefore annual property taxes in cases where properties are being over assessed. Starting next week NJTV is hosting a new Facebook Live series that will explore questions from NJ residents in regards to the Homeowner's Guide to Property Taxes put together with the NJ Society of Certified Public Accountants. 2019 NJ Realtors®President, Ilene Horowitz, will be featured as a panelist answering questions pertaining to property taxes and their impact on the real estate market. Hear what Horowitz has to say on Feb. 20, 2019 at 12 p.m. Visit NJTV's Facebook Page here. Call us today at (201) 773 3282 to inquire about how we can help you with appealing your property assessments! What is the basis for my property assessment? After a revaluation, all assessments within a given municipality must be 100% of true market value as of October 1 of the previous year. October 1 pre-tax year is the annual “assessment date.” Therefore, all evidence for a tax appeal should precede the October 1st assessment date, especially comparable sales and comparable rentals used in an appraisal. To understand the common level range, you must first understand what happens after a revaluation is completed in a municipality. External and property specific factors such as inflation, recession, appreciation, physical deterioration and depreciation cause property values to increase or decrease at varying rates. Therefore, if assessments are not adjusted annually, it is very likely for a property’s assessments to deviate from 100% of true market value. The New Jersey State Division of Taxation, with the assistance of municipal tax assessors, annually conducts statewide fiscal year sales surveys to investigate market activity. Sale value is compared to assessed value individually to determine an average level of assessment in a municipality. From this analysis, an average ratio is developed from all arm’s length property sales to reflect the assessment level in a given municipality. In any given year, except for the year a revaluation is implemented, the common level of assessment is the average ratio of the district in which your property is located, and is used by the County Tax Board to determine the fairness of your assessment. The “average ratio” of assessed value to true value of real property for a taxing district, means the ratio promulgated by the Director of the Division of Taxation pursuant to P.L. 1954, C 86 (C.54:1-35.1 et seq.) as of October 1 of the year preceding the current tax year. Owners of income producing commercial properties must supply an income statement when filing an appeal on special forms provided by the municipal tax assessor. Net income generated by a property has a direct bearing on the ability to market the property, and therefore on its market value. Is my property assessment fair? How can I tell if my property is being over assessed? In 1973, the New Jersey Legislature adopted a formula known as Chapter 123 to test the fairness of an assessment. Once the County Tax Board determines a property’s true market value during an appeal, they are required to compare true market value to assessed value. If the ratio of assessed value to true value exceeds the average ratio by 15%, the assessment is reduced to the common level. The County Tax Board determines that the assessments falls within this common level range, no adjustment is made. If the assessed value to true value ratio falls below the common level, the County Tax Board must increase the assessment to the common level. The Chapter 123 test assumes the taxpayer will supply the County Tax Board with sufficient evidence to determine the true market value of the property subject to appeal. Tax appeal must be filed annually on or before April 1st or within 45 days of the bulk mailing of Assessment Notices; or May 1st where the municipal-wide revaluation or municipal-wide reassessment has been implemented. Once a tax appeal is filed, a hearing before the County Tax Board is scheduled. Individual taxpayers may represent themselves, but business entities other than sole proprietorships must be represented by an attorney. The taxing district is the opposing party, which is represented by the municipal attorney. The municipality’s tax assessor or an appraiser hired by the municipality may appear at the hearing as an expert witness. Other than a municipal assessor, an expert witness is anyone employed as a real estate appraiser, and designated as a real estate appraiser by legitimate associations of professionalism, according to the licensing or certification requirements of the State of New Jersey. If you intend to rely on an expert witness testimony at your hearing, you must supply a copy of the appraisal report for the assessor and each County Tax Board member at least 7 days before the scheduled hearing. The appraiser who completes the report must be available at the hearing to testify and to afford the municipality an opportunity to cross-examine the witness. A hearing is always necessary; however, if the assessor, municipal attorney, and taxpayer agree to a settlement or otherwise resolve the issues, it may not be necessary for you to attend your hearing. Settlement stipulations must be submitted to and approved by the County Tax Board . Should the Tax Board disapprove the stipulation, a formal appeal hearing would then be scheduled. As the appellant, the burden is on you to prove that your assessment is in error, unreasonable, excessive, or discriminatory. You must suggest a more appropriate value by showing the Tax Board the market value of the property as of October 1 of the pretax year. To proceed with an appeal, all taxes and municipal charges up to and including the first quarter of the tax year must be paid. The taxpayer must be persuasive and present credible evidence. Credible evidence is supported by fact, not assumptions or beliefs. Photographs of both the subject property (the property under appeal) and comparable properties are useful in illustrating your argument. Factual evidence concerning special circumstances is necessary. For example, if the property cannot be further developed, e.g. conservation restriction, supporting evidence must be provided. In the context of an appeal, taxpayers can review Property Record Cards which are available at the local tax office. The most credible evidence is recent comparable sales of other properties of a similar type in your neighborhood. When using comparable sales, a listing of 3 to 5 sales should be attached to your appeal at the time of filing. Your assessor and County Tax Board Commissioners must receive copies of your comparables at least 7 days before your hearing for them to be discussed. Sales ratio forms, called SR-1A’s, (available at the County Tax Board) and deeds (available at the County Clerk’s office) are public records and can be used to identify comparable sales and their significant characteristics. Comparable means that most of the characteristics of your property and the neighboring properties sold are similar. Be able to give full property descriptions and be knowledgeable of the conditions, including financing, of the cited sales. Some characteristics that would make a property comparable are: recent sale price, similar square footage of living area measured from the exterior, similar lot size or acreage, proximity to your property, the same zoning use (e.g. duplex in a duplex zone), and similar age, construction and style of structure. By law, the County Tax Board must hear and determine all appeals within three months from the last day for filing appeals, unless otherwise granted an extension. Judgments are issued shortly after. If you are not satisfied with the County Tax Board Judgment, you have 45 days from the date your judgment was mailed to appeal your judgment with the Tax Court of New Jersey. If your property is assessed for more than $1,000,000, you may file directly with the State Tax Court by April 1st, rather than filing with the County Tax Board.